One Solidarity! 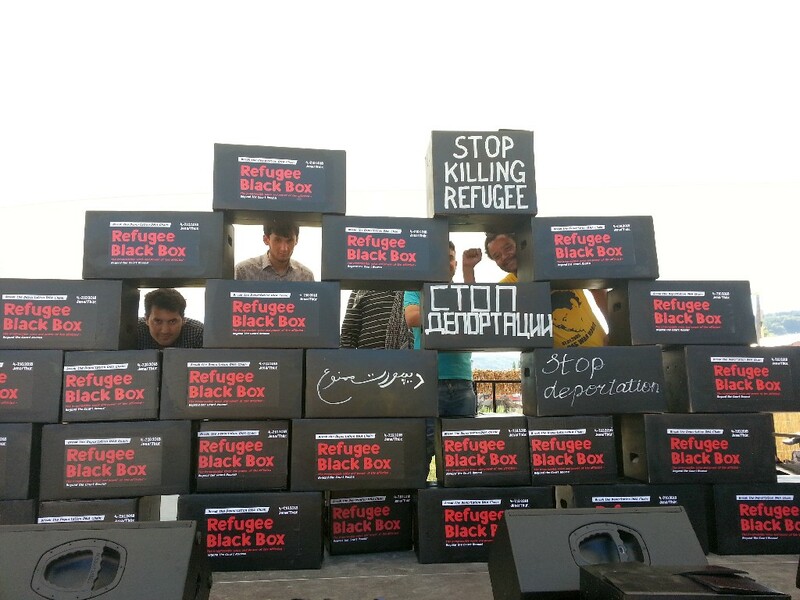 We will admit that every refugee is a Black Box! 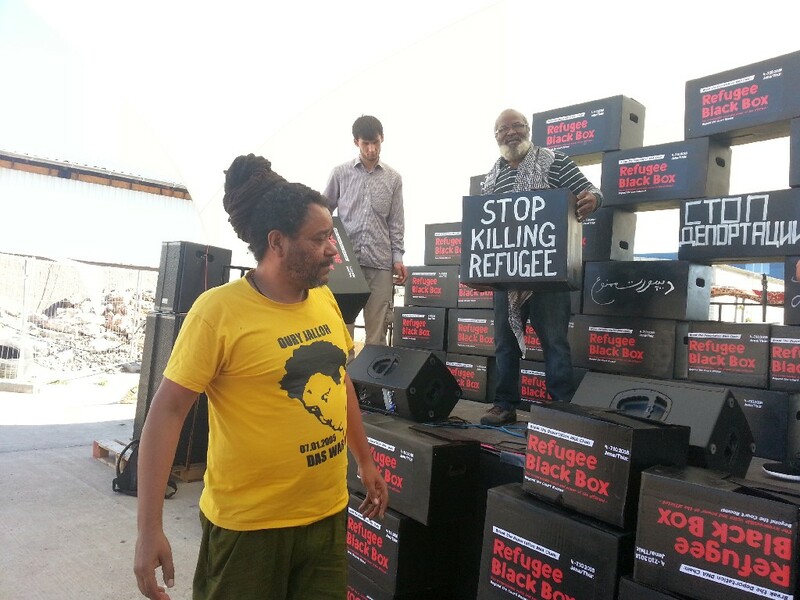 From 4th to 7th October 2018 the annual programm of the Refugee Black Box will take place in Jena. Please see attachment for further information. 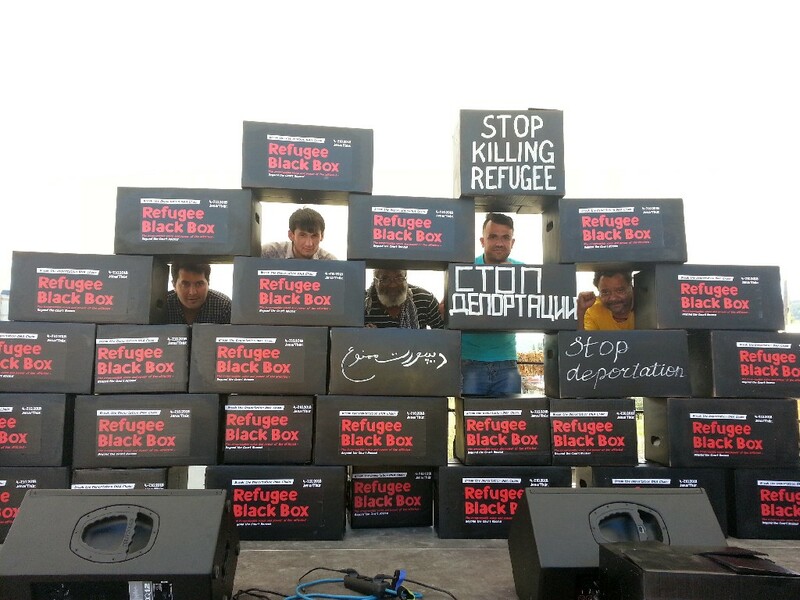 We will be pleased to read from activists of the break deportation, break isolation networks, anti-deportation and solidarity activists comments on the theoretical background of the refugee Blackbox in the refugee political struggles on a realistic basis. Critiques are highly appreciated! 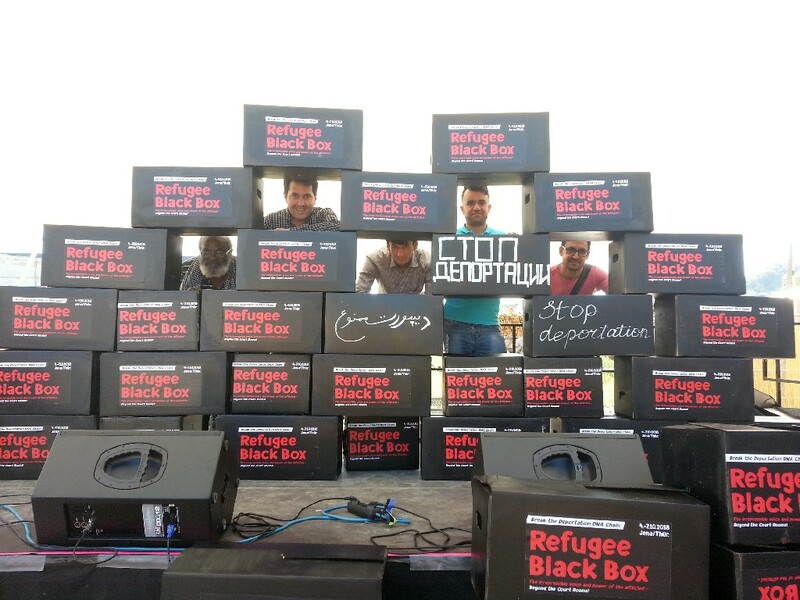 Please inform refugees you may know in Thueringen and beyond to join the special events of the refugee Black Box in October Jena. 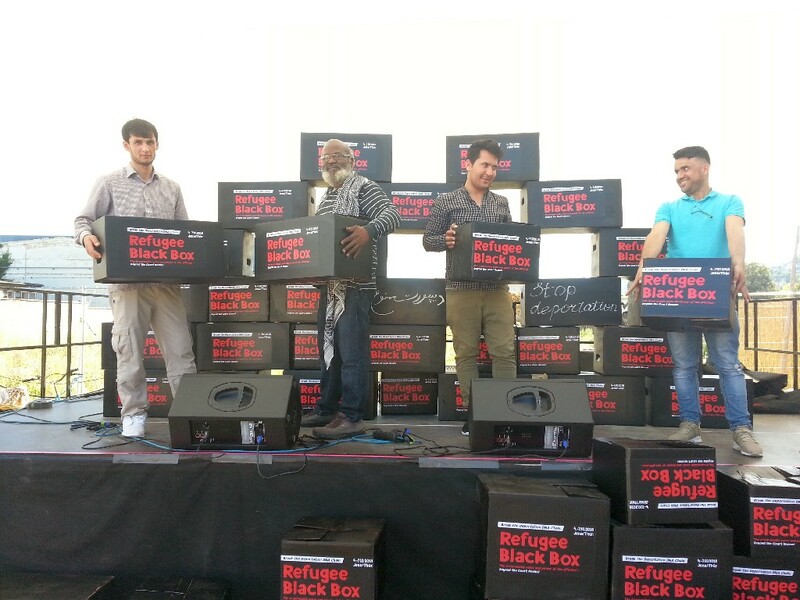 We invite participants to join us in Jena to produce 300 Refugee Black Boxes with their statements, demands or slogans for the installations and for participants‘ parade. 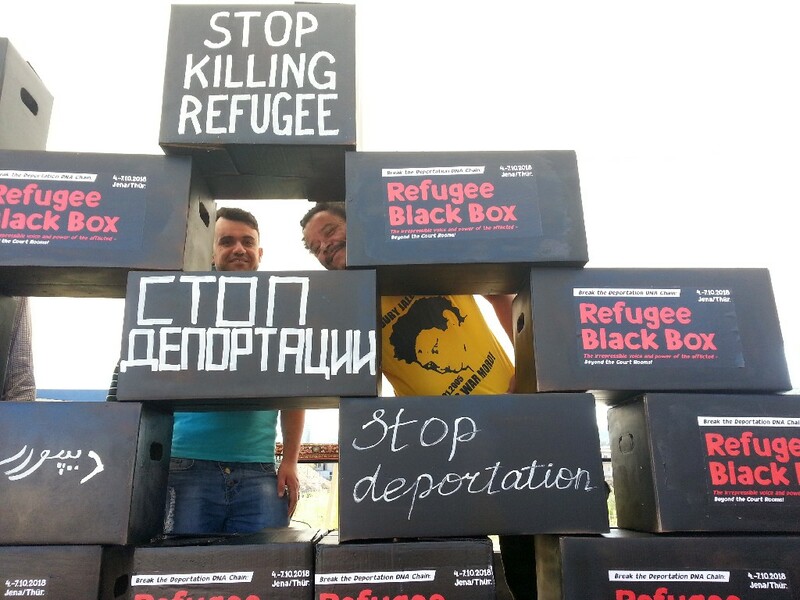 There will workshops, discussions, We expect activists from Thueringen, Hamburg NRW and Berlin to meet and discuss with more participants of Refugee Black Box installation. We are calling for everybody’s – refugees, single activists, communitys and political organisation and groups – for solidarity and financial support as our financial means are limited. We could not hold a nationwide preparatory meeting because of the financial cost. We strictly depend on private donation to sustain our struggles without state institutions. The numbers of participants are not expected to be less than last year, although we are having financial problems to pay for transportation of refugee participants like the last years. We will be calling on refugees and migrants participants to finance their transportation to the refugee Black Box events in Jena. The refugee camp administration in Apolda is a model of an „open prison“ without perspectives, so many refugees say. Refugees are threatened to deaths in Isolation with constant threats of deportation and restrictions without perspectives. 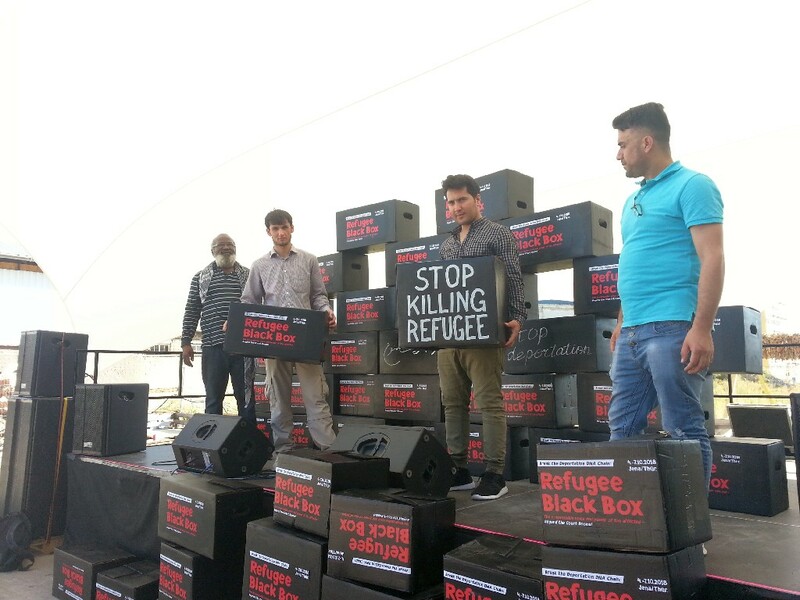 Most refugees from Afghanistan are put under pressure and are being forced by the Apolda foreign office to comprised their fredom and rights to protection and security in exile, as against state persecutions of the refugees and the insecurity in Afghistan. 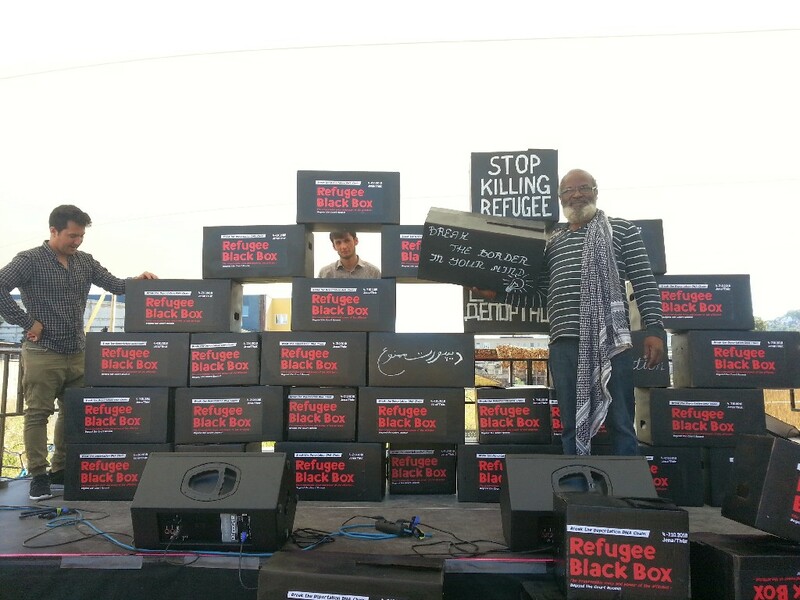 Will you join us to protest the maltreatments of refugees by deportation and social exclusion with our own political media of resistance – the Refugee Black Box? Especially we cannot afford to pay for participants outside Thueringen. We are calling on local political groups to support the transport of refugees from their area to the events on 04-07.10.2018 in Jena. 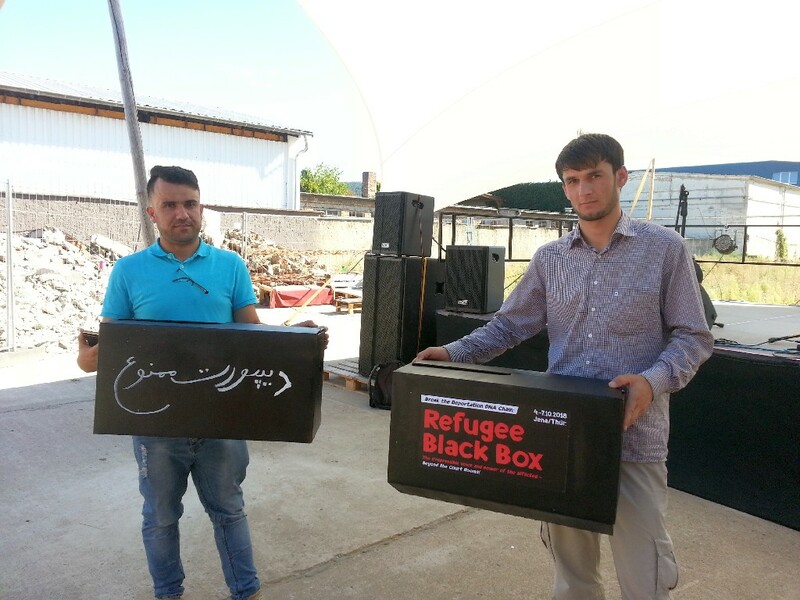 We also call for general support by donation and by solidarity events in any localities possible for the BlackBox. 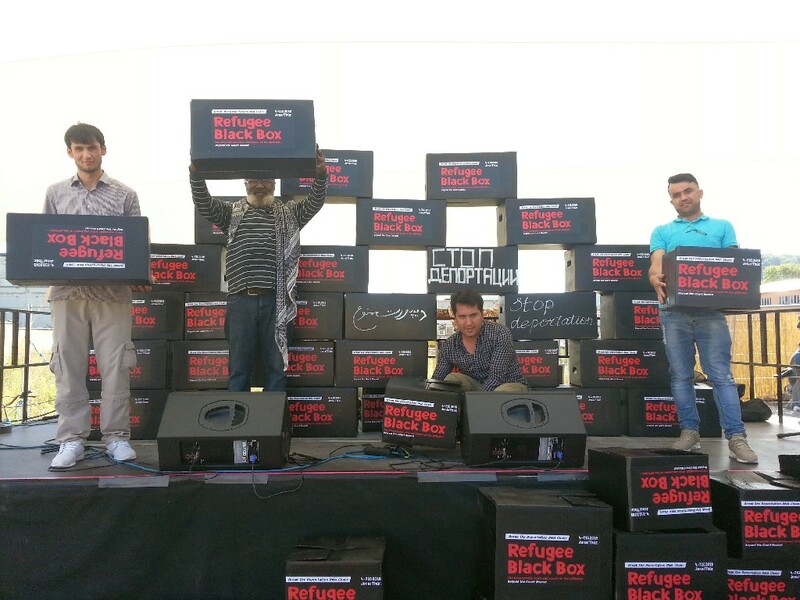 Refugee Black BOX Installation – Let’s work together to break the deportation! Von Chemnitz nach Jena ist es nicht weit! Wir beobachten die rassistischen Ausschreitungen in Chemnitz mit größter Sorge und möchten all diejenigen, die sich in Chemnitz und Umgebung nicht mehr sicher fühlen, in Sicherheit wissen. Wenn das für euch heißt, dass ihr aus der Stadt rausmüsst, dann schreibt uns oder schickt eine E-Mail an „chemnitztojena@riseup.net“ und wir holen euch auch im Zweifel ab. Ihr habt hier einen Platz zum Schlafen, zum Lernen, zum Kochen und Ruhe. Ihr seid nicht alleine! من چيمينتس(Chemnitz) الى يينا (Jena) مو بعيدة! chemnitztojena@riseup.net نخرجكم من هذا الرعب ، خصصنا مكان للنوم، للأكل،للدراسة،للإستراحة. لە چیمینتس(Chemnitz) بۆ ێێنا (Jena) هیچ دوور نی یە! Chemnitz ile Jena arasi hic uzak değil! Biz Chemnitz‘ de ki irkcılığı cok iyi tespıt ede bildik, ve bu tedirginliğin ıcınde bulunanlara elımızı uzatmak istiyoruz! Eğer bu konu seni yuvandan ve evinden etmeye sebep oluyorsa, lütfen bana geri dönün veya bana ,,chemnitztojena@riseup.net” den ulaşmaya çalışın. 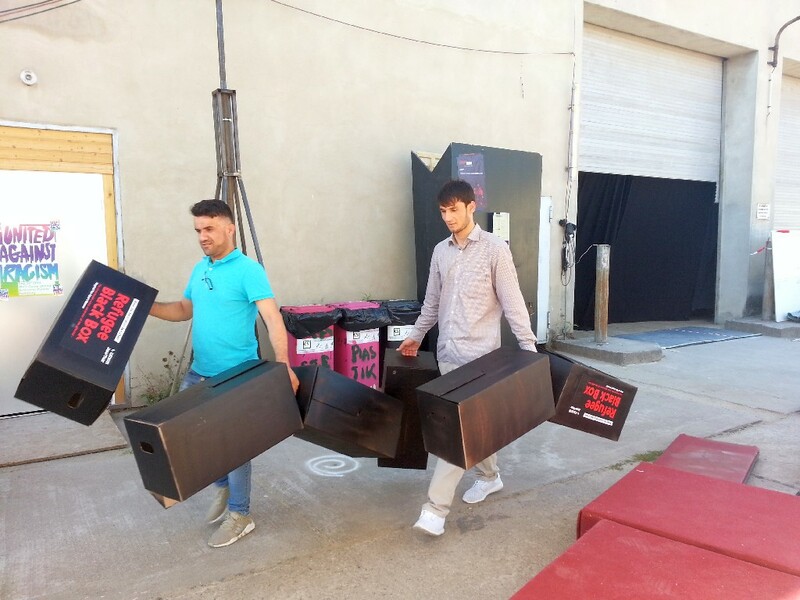 En kötü ihtimalde sızı almaya da gelebiliriz.Biz size uyumak icin sicacik yatak, ders calismaniza, yemek yapabilmeniz ve en önemlisi huzur bulmanıza yardımcı olcaz.Yalnız degılsın! Chemnitz is not far from Jena! We‘re witnessing the racist rampages in Chemnitz with deep concern and want to reassure all those who are in Chemnitz and surrounding areas. If that means you have to get out of the city, write us or send an email to „chemnitztojena@riseup.net“ and we‘ll come and pick you up. Here you‘ll have places to sleep, to study, to cook, and peace and quiet. You‘re not alone! «chemnitztojena@riseup.net» ایمیلی ارسال کنید تا ما دنبال شما بیاییم. اینجا جای خواب، محل مطالعه، آشپزی و استراحت خواهید داشت. شما تنها نیستید! Am Sonntag den 19. August findet unser General Meeting in Apolda statt! 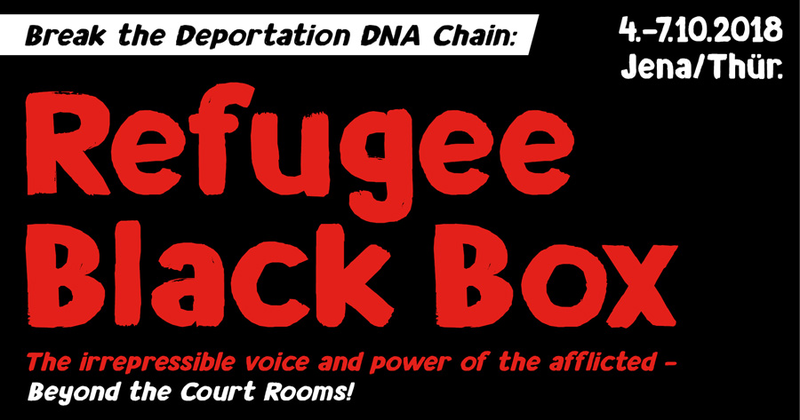 discuss and organize with us – togheter against Deportation and Isolation! organisieren wir Kinderbetreuung für die Treffen. 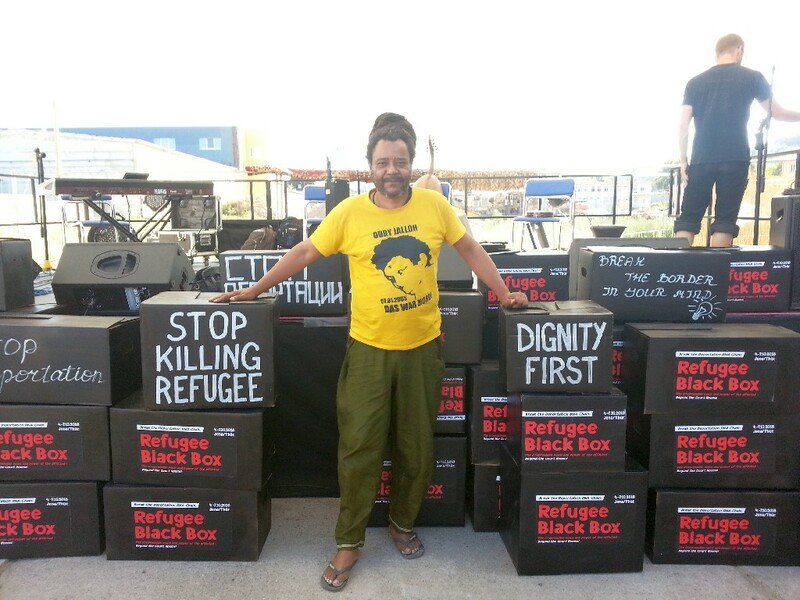 „Refugee Black Box“ Konferenz in Jena braucht euren Support! Vernetzung der Community zu stärken. freuen uns über Unterstützung jeglicher Art! GEMEINSAM GEGEN ABSCHIEBUNG & ISOLATION! Du browst gerade in den Break Deportation! Gemeinsam gegen Abschiebung & Isolation Weblog-Archiven nach dem Monat August 2018.